Today is a day of celebration! I get to see my girls tonight! 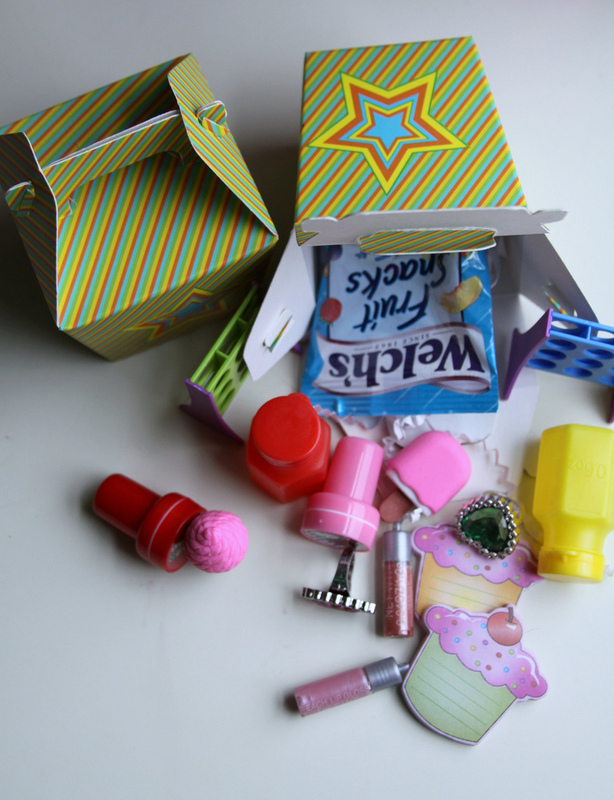 Today's summer fun simply includes a funky chinese takeout box filled with little surrpises & silly things. Mostly they're leftover party favors from past parties. But little brightly colored trinkets are a happy thing & I think the girls will think it's special. It IS, afterall, a day to party: they get to see MOMMY!!!! I've been trying to help daddy out by leaving little fun surprises for him to give the girls every day while I've been in Washington. Fun little things Zoey & Pazely can do on their own, giving daddy a little bit of peace these past 6 days. (Even though he's really good at entertaining them on his own!) But, I'm ready to get creative with my kidlets in person. Get out the glue & scissors & paints–& make a good ole messy mess. Have I mentioned before how much I HATE flying? I'm hoping to find some meds to knock me out on the flights home. Anything to calm me down. I'm especially nervous 'cause the little jaunt from Denver to Scottsbluff is in one of those little crackerjax planes. I can pretty much guarantee my palms will be sweaty all day. And my tummy will be in knots. And I may or may not have to use that little "takeout" container that sits in the pockets behind every seat on the plane.Ugh. I'm hoping not. How embarrassing would that be? And then would the plane reek of my up-chuck? It's not like you can roll the window down to get rid of the stench. Of all the flying I've done, I've NEVER seen anyone use one of those things. I'm hoping to maintain my no-airsick status.